In her first month, Dana Nessel has joined cases protecting provisions of the Affordable Care Act and dropped support for several lawsuits that challenge abortion rights. 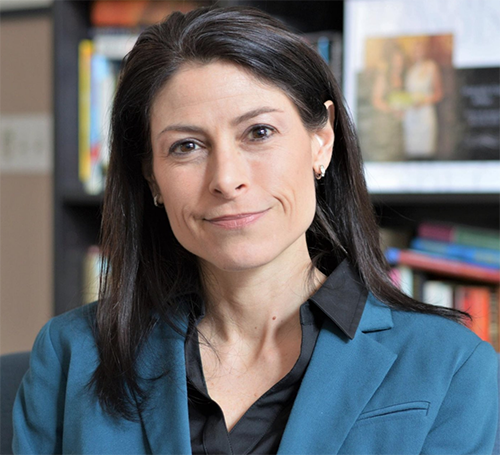 Michigan Attorney General Dana Nessel capped a dizzying first month in office by reversing the state’s position in more than a dozen cases previously steered by her Republican predecessor. Nessel aligned with three other states and Gov. Gretchen Whitmer in seeking to join a federal lawsuit protecting the Affordable Care Act, which previous Attorney General Bill Schuette long opposed. The progressive Democrat also pulled the state from eight cases related to abortion, LGBTQ rights and the separation of church and state — cases Schuette had joined. In addition to those actions, last Thursday, Nessel for good measure withdrew from cases challenging federal environmental regulations and filed legal briefs advocating for mandatory birth control coverage. “As Michigan’s Attorney General, I will not use this office to undermine some of the most important values in our state,” Nessel said in announcing the state’s reversals. The early-term decisions fulfill several major Nessel campaign promises and illustrate the whipsaw nature of state policy when one political party sweeps another from office. Schuette had battled the EPA on pollution standards and joined several suits opposing the ACA. Here’s a breakdown of the federal cases Nessel has joined and left since she took office last month. What it does: This lawsuit, initiated by Texas but joined by 19 other states, argues that the Affordable Care Act — also known as Obamacare — should be struck down on the grounds that the individual mandate (now without a penalty) is unconstitutional. Nessel joined with Colorado, Nevada and Iowa in requesting to join the case in support of the ACA. 16 other states already support the law in the case. What it does: In her first amicus briefs as attorney general, Nessel joined with Massachusetts and other states in supporting two lawsuits challenging the U.S. Department of Health and Human Services for exempting religious groups from having to provide birth control coverage to employees under the Affordable Care Act. What they do: Both cases challenge whether the Clean Power Plan — an Obama-era rule that is intended to combat climate change by restricting carbon dioxide emissions — could legally restrict emissions from existing and new power plants. The U.S. Supreme Court delayed those rules in 2016, and President Trump’s administration has since moved to replace them. What it does: The suit challenges a 2015 EPA regulation intended to curb ozone emissions. Murray Energy and states that joined it argue the limits are achievable. What it does: Suit originally challenged whether the EPA can establish air quality standards based on a hypothetical threat to public health. Nessel said it now challenges the rules regulating methane emissions from oil and gas operations. What it does: The most high-profile of the reproductive rights cases Nessel withdrew from, this involved an undocumented Mexican immigrant who entered the U.S. as an unaccompanied minor and who requested an abortion. Her abortion was initially denied. The case challenges whether undocumented immigrants in federal custody have the right to seek abortions. What it does: This case would close Kentucky’s last abortion clinic on the basis that its hospital and ambulance agreements had technical deficiencies. It defends a Kentucky state law requiring abortion clinics to have “transfer agreements” with hospitals and ambulance services. What it does: This case confronts the constitutionality of an Ohio law that criminalizes abortions if one of the reasons for the abortion is that they suspect the baby has Down syndrome. Michigan had supported the Ohio law under Schuette’s stance. What it does: In 2016, Ohio denied Planned Parenthood clinics $1.3 million in federal funding for programs unrelated to abortion (such as breast and cervical cancer screenings and HIV testing). Planned Parenthood argued the funding withdrawal was retaliatory. Michigan had supported the Ohio Department of Health in refusing funding. What it does: A St. Louis, Missouri-based company withdrew a job offer when it discovered the prospective employee was gay. A U.S. Appeals court dismissed the case on the grounds that the Civil Rights Act doesn’t protect LGBTQ people from job discrimination, and had Michigan joined other states in urging another Circuit Court not to take up the case. What it does: Michigan had supported Lehigh County, Pennsylvania’s choice to include a cross at the center of its official seal. An atheist group sued the county, arguing it violates the separation of church and state. What it does: This case questions whether it is unconstitutional for clergy to get a tax exemption for housing. An atheist group argues the exemption violates the U.S. Constitution's establishment clause. U.S. Secretary of the Treasury Steven Mnuchin argues if the rule is repealed it would be discriminatory against religion, a position Michigan under Schuette supported. What it does: This case challenges the U.S. House of Representatives, which denied an atheist’s request to offer a secular invocation at the beginning of session on the grounds that he did not fit the definition of a “religious clergyman.” Michigan had opposed the atheist group’s stance. Well thanks that the Putin sucking Schuette is gone<<< i hope with Snyder the Snake he is called before the US House to tell why he covered up for Snyder how ordered the water to Flint be pumped from the dixon ( Agent Orange) leaden Flint River!!!! Name calling and blaming doesn't solve problems. Getting involved in the process does. Schuette was like all republicans anti- American, anti-Middle class, anti-Environmental, Anti-Veteran, Anti-Woman ,,,,,,,,, and to many to list all of them!!! In God's dealings with Israel and the nations around her 3000 years ago, the harshest judgement fell upon those nations that tolerated and promoted practices of passing infants through the fire to Molech. If you think the actions by AG Nessel will not bring the hand of God firmly down on the state of Michigan, you are mistaken. It isn't that I don't think it will bring the hand of god down. It Is that I do not believe in god.. But.. Even if I did I would be in favor of these actions, not because, once again I doubt the hand of god, but because if your god would punish Michigan for this, send people to hell for disagreeing with each other. . etc etc, then I am firmly opposed. I mean, as the bible is written? I think this Satan fellow kind of has a point. While I understand your disgust, on the other hand you can't totally ignore the positive side of Leftist Democrats trying to abort themselves out of existence. You really don't have a clue as to the reality of people's lives, or what other people think about anything. Name calling, blaming, sarcasm will gets us nowhere. Poverty, the Flint water crisis, racism are all big problems in Michigan, and yet you boil it down to abortion. Simpleton's as my mother would say. This is why elections matter and for all those people that say that it doesn't make any difference who is in power, are completely wrong. This is why democrats and progressive voters need to get out and vote. Dana Nessel is doing a great job! Good point. ....opposite conclusion. This "neutral" organ is watched disproportionately by liberals. Hmmm. I wonder why? Our new AG shows great wisdom and compassion. With her fellow leaders I look forward to Michigan improving from worst to most transparent state in our union. Somehow AOG is mistaking delibretely that because they voted for her (and really don't pay two seconds of attention to her, not even knowing her name) that they agree with her "values". Will be interesting to see a far left politician with NO checks on her in action. Bones I seriously doubt she's any further left than you, just not burdened with trying to appear nonpartisan. She's doing what she was asked to do on the campaign trail and is acting in accordance with the values the majority of Michiganders believe in. That's how it should be. Schutte used the office and our money to further his own personal agendas, even when it in no way aligned with what we as Michiganders wanted. Case in point an overwhelming majority of Michiganders support equal rights for the LGBT community, but Schutte didn't care, he could make money off of being a bigot and using our money to persecute our fellow citizens, so we voted him out. That's how it should be. 19 of 20 voters don't even know her name, Don't give her and them that much credit. Matt: It's too bad your only reason for Ms. Nessel being elected is the ignorance of those who voted for her - just because she was a Democrat. Of course when you voted for Mr. Schuette you weren't doing so only because he was a Republican did you. Neither does it bother you he was using your money to seek to legitimize discrimination against your fellow citizens based on "religious" beliefs - not sound public policy. So, when it comes to criticizing people for how they vote, you can be criticized because you seem to lack an appreciation for the true role of the AG - and it isn't to seek oppression of other citizens. Do you actually think about the issues or if it's an R, I pull the lever, like you accuse Democratic voters of doing? Actually we knew what we were doing and intended to rid ourselves of a horrible AG who was incompetent in his choices of fights. That's my opinion as a lawyer as well as a private citizen. AG Nessell has already proven superior in that respect. You need to set your standards higher, but then you'd have to join us wouldn't you?